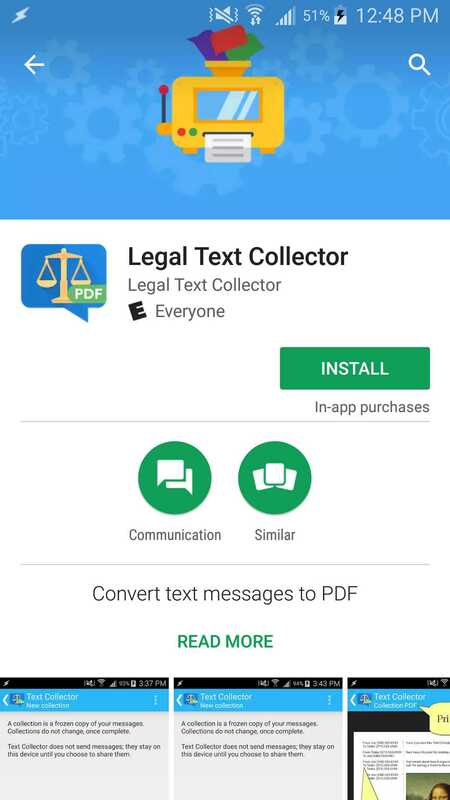 Text Collector turns your messages into court-friendly PDF files. 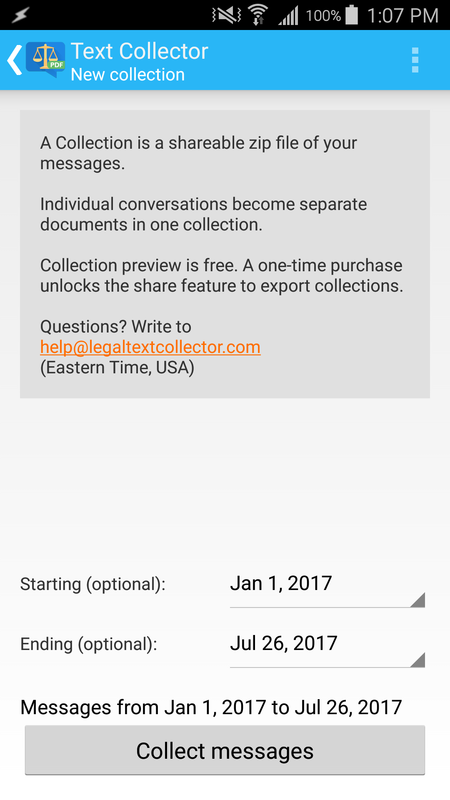 Legal Text Collector is available on Google Play. Nothing to see yet. 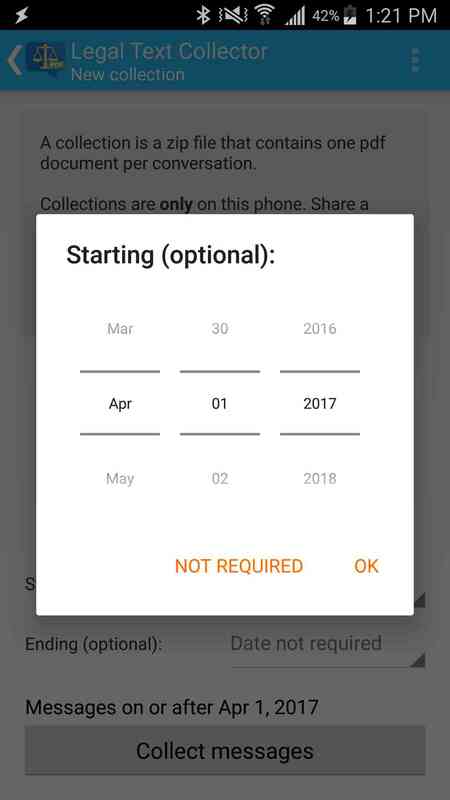 Start by tapping the “New collection” button. A “collection” is just a copy of your messages. For now, let’s collect all your messages. 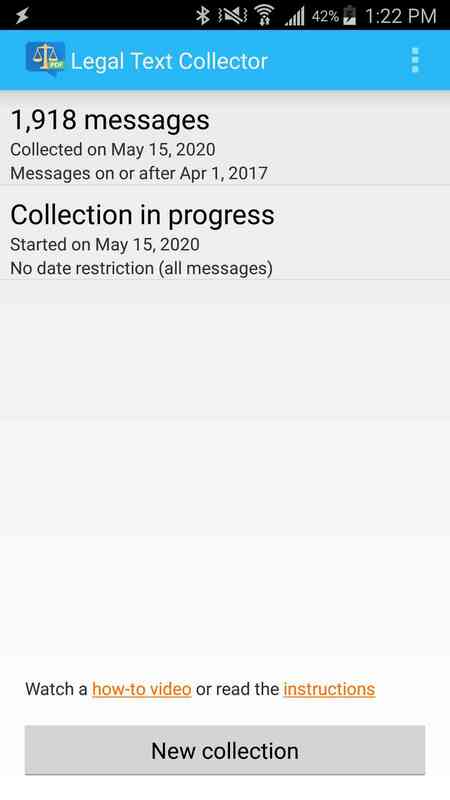 Phones running recent Android versions will ask you if you want Text Collector to access your messages and contacts. 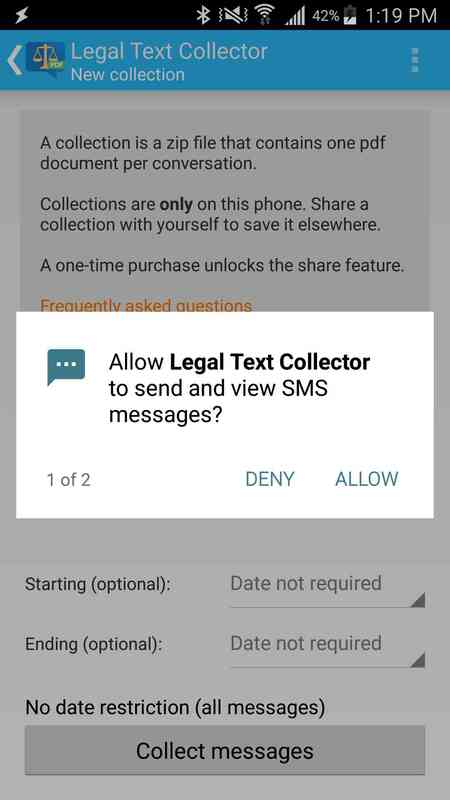 The message is a bit confusing because it asks if you want to allow Text Collector to read and send messages. 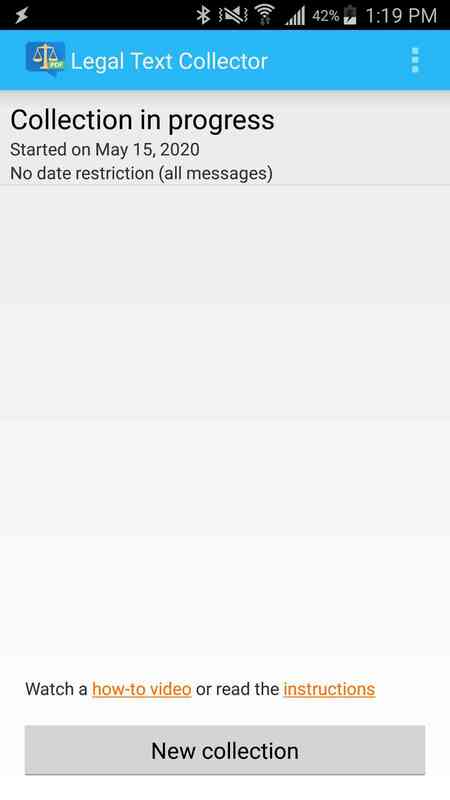 Collecting all your messages can take a few minutes, so, in the meantime, let’s start a smaller collection that’s restricted to recent messages. Let’s collect just messages since April. This finishes quicker. 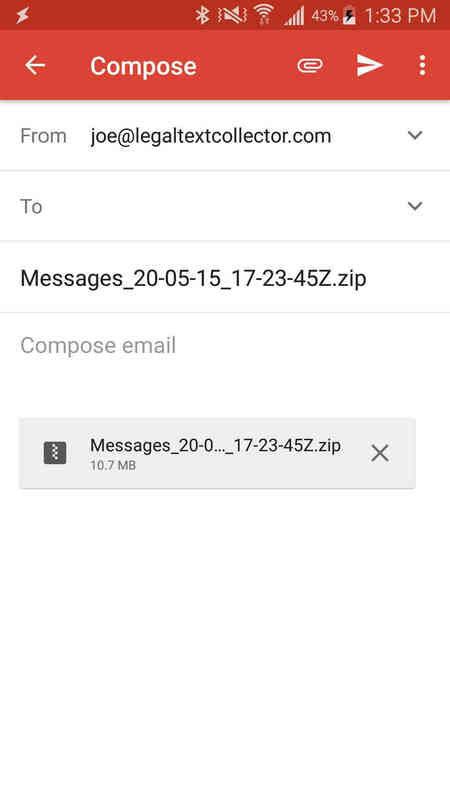 When it does, the message changes from “in progress” to the number of messages it collected. The first page shows a summary of what we collected. Pinching zooms in and out. You can jump straight to conversations with particular people. When you share the collection, each of these becomes a separate document. 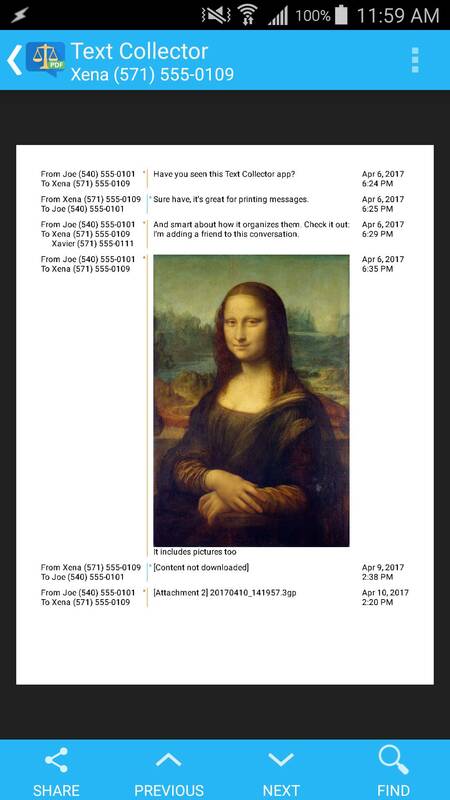 Bare phone numbers at the bottom are for numbers that don’t have an entry in your address book. When you’re happy with the results, export the collection by using Android’s sharing feature. Sharing exports the entire collection, not just the document you’re viewing. At this point, you need to purchase the sharing feature. 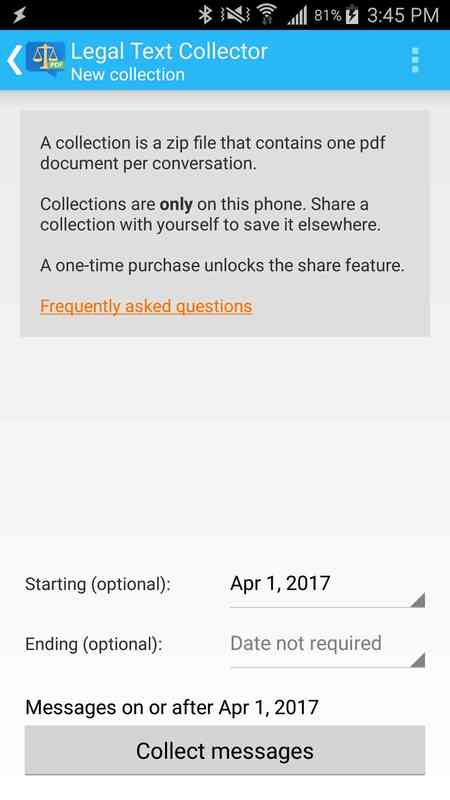 One purchase lets you share as many collections as you like. 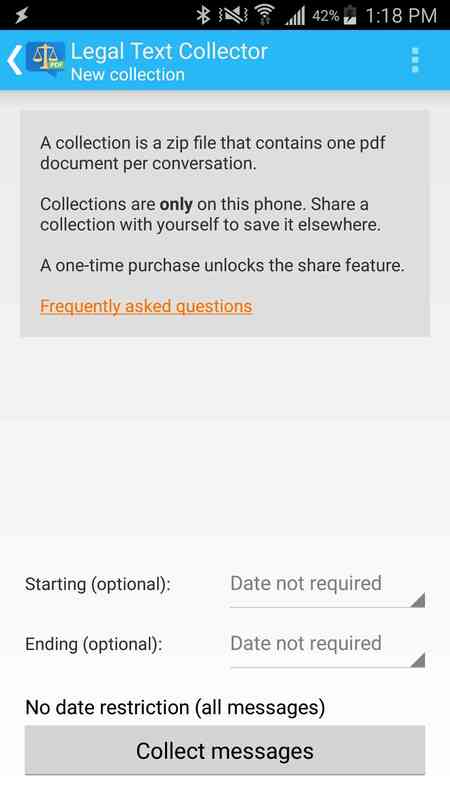 After you finish buying the share feature, Android pops up a chooser where you can pick how you want to share. 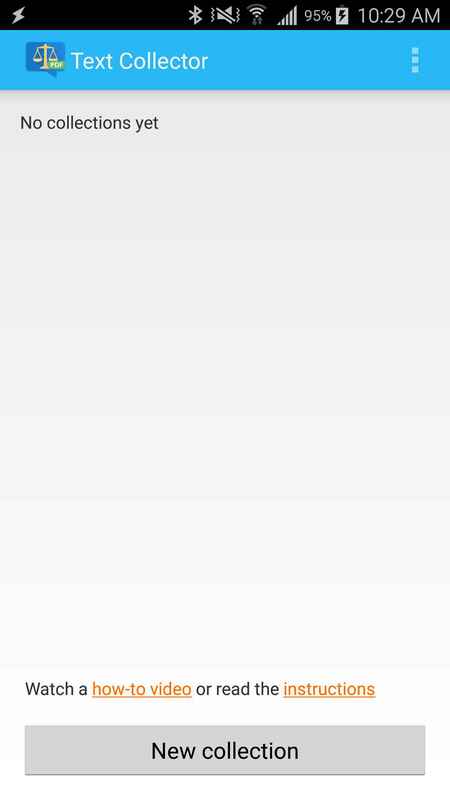 This collection is small enough that email works fine. For larger collections, Dropbox or Google Drive work better. 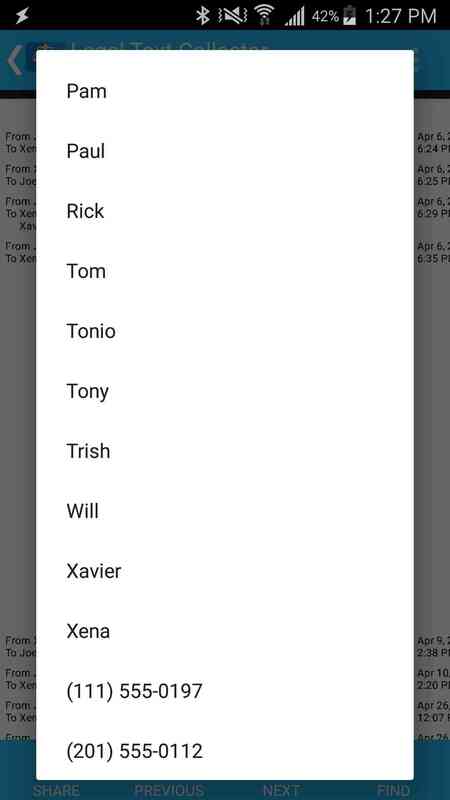 Now you’re in the Gmail app with your messages attached to a draft email. Just send them wherever you want them to go. 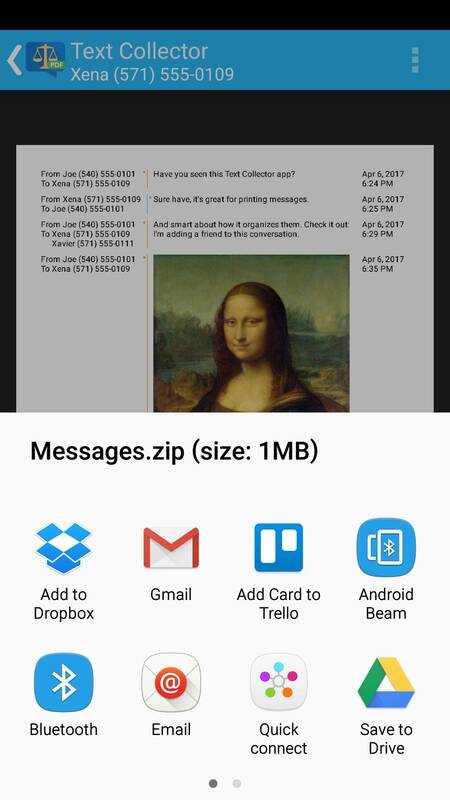 Text Collector puts your messages in a zip file. 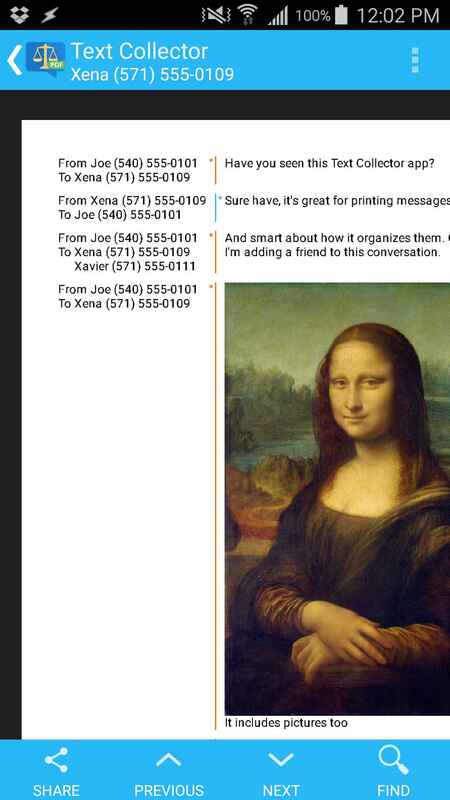 When unzipped, you can see each conversation as a PDF. 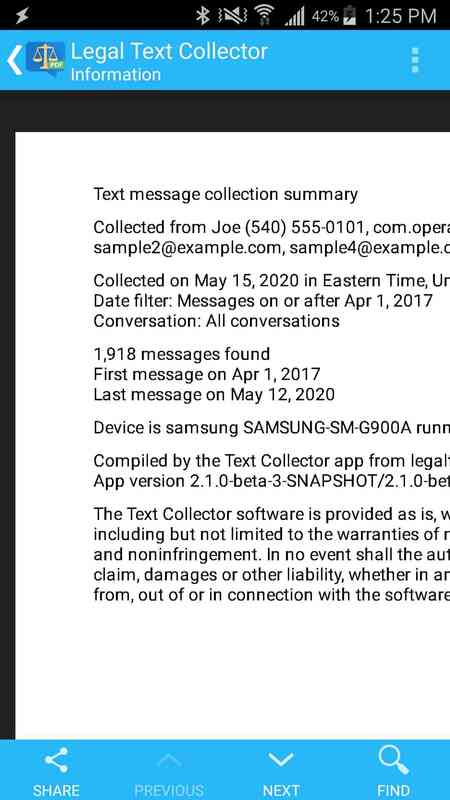 Use Text Collector for ediscovery in your lawsuit or if you just want to print your text messages. 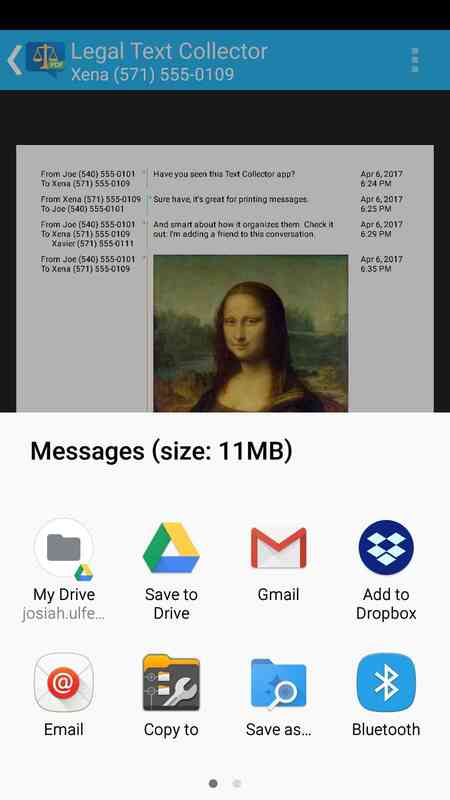 Share printable messages by email, Dropbox, or any other file sharing app. Preview the results for free. 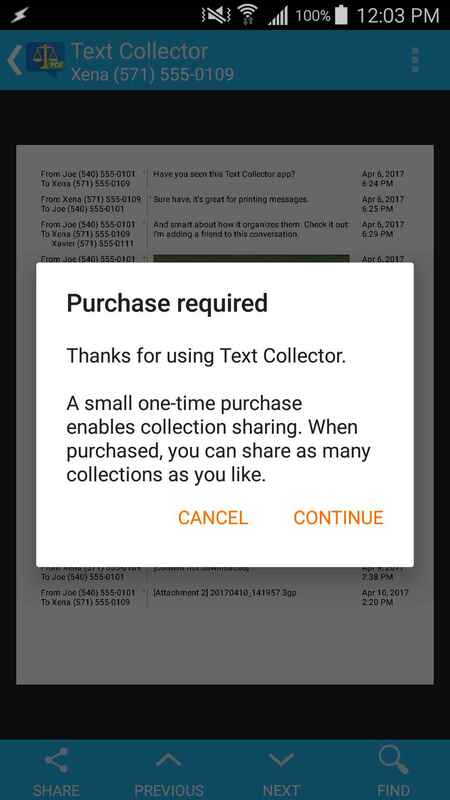 Share as many text messages as you like for a small in-app purchase.